Brett is our office manager and joined Parkview Dental in 2013. Brett attended the University of Minnesota Duluth, where he graduated with a B.A. degree in Business Management and Human Resource Management. He is married and has two children. Brett is active in church activities and enjoys hunting, fishing, and fantasy football. 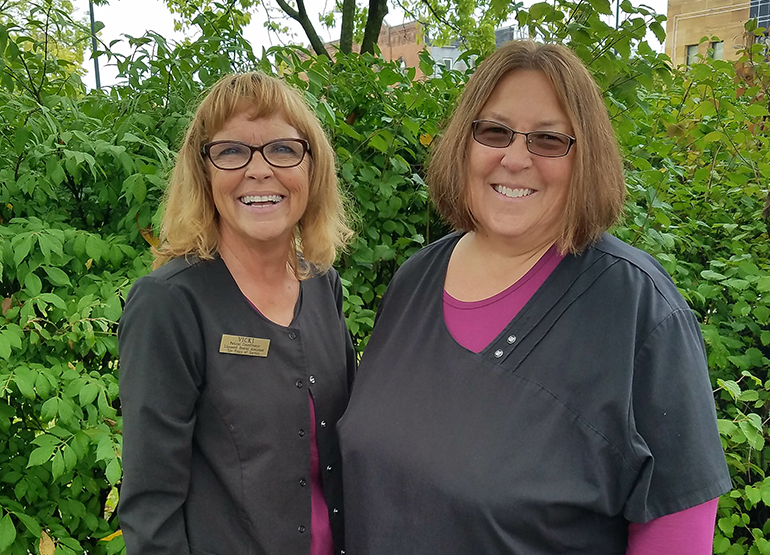 Vicki attended Canby Technical College where she received her degree in Dental Assisting. Vicki is also an Administrative Assistant and Financial Coordinator. She has worked at Parkview Dental since 1986. She is married with 5 children, 4 boys and 1 girl. Vicki and her husband Len reside in rural Dassel. She enjoys doing projects with her grandchildren, playing volleyball, dancing, traveling, boating, skiing, knee boarding, fishing, playing Texas hold-em and spending time with friends and family. Teresa has worked at Parkview Dental since 2011 as an Administrative Assistant. She is married and has 4 children and 12 grandchildren. She resides in Hutchinson with her husband. She enjoys traveling, sports, hiking and fishing. Thank you for making me feel welcomed and cared for! All staff was personable, kind and went out of their way to introduce themselves to me. Overall, I am impressed by the technology used during my exam and cleaning that showed me up close what is going on with my teeth.